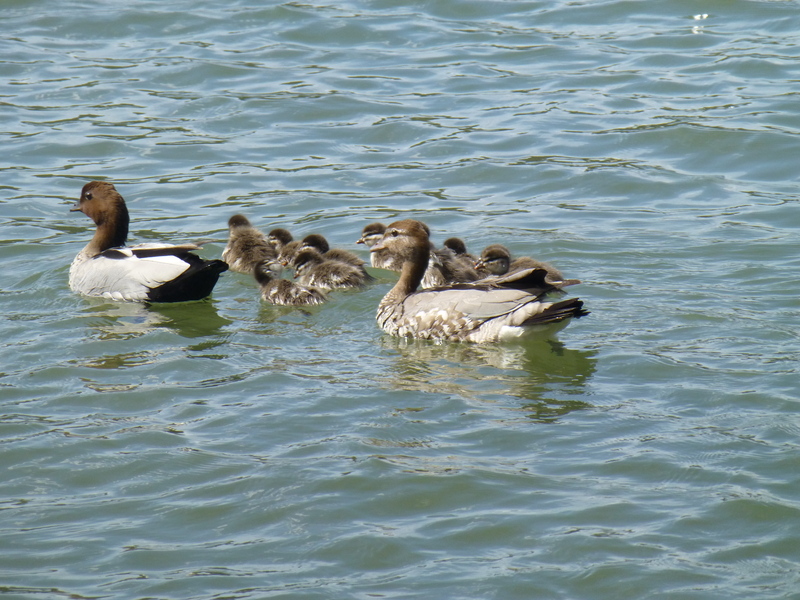 Protecting their young: parent ducks. There’s something special about the sight of parents with their offspring: particularly with something as sweet as ducks and ducklings. 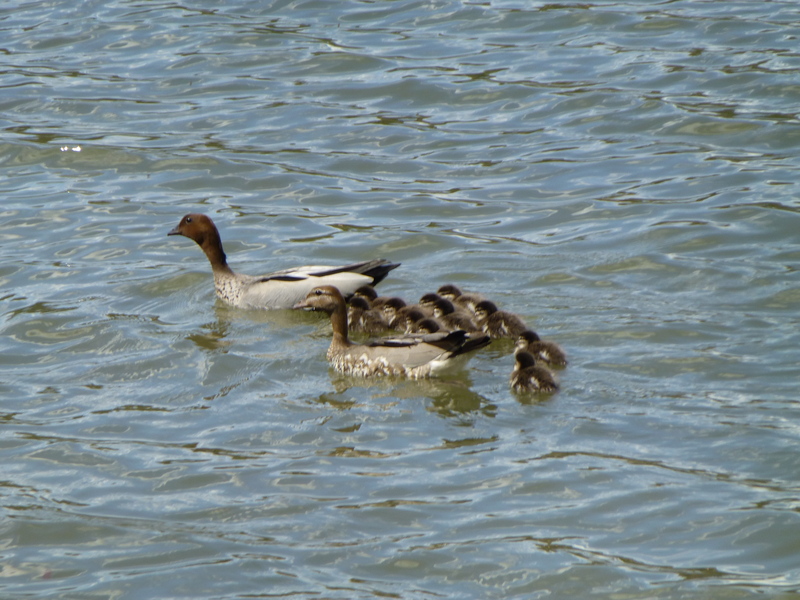 This photo of a family of Australian Wood Ducks was taken in the local swimming baths. It’s quite uncommon to see little ones, though their elders are a common sight. Fresh from their long paddle, this family of ducks is heading for home. I wonder where it is? It isn’t in the local swimming baths: the place that they had ventured to! 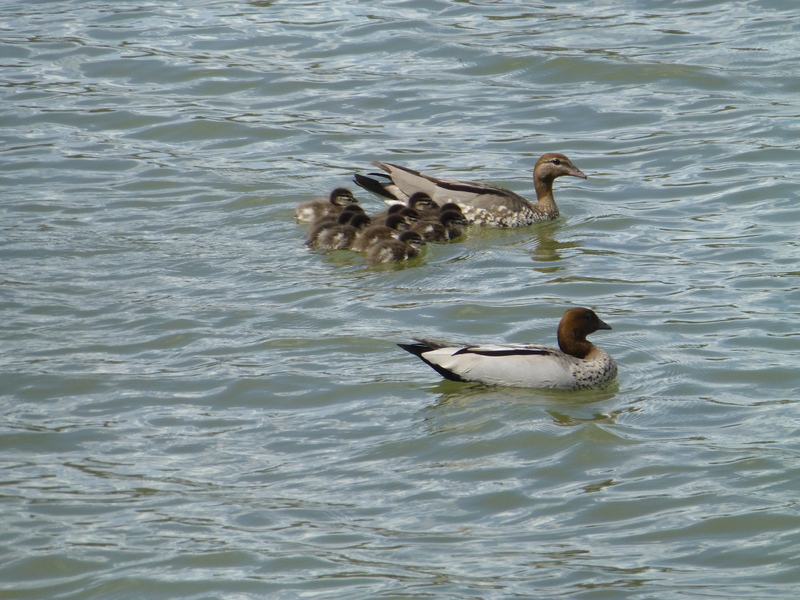 The babies are strong swimmers and keep up well with their parents. I love to see ducks in their natural environment. 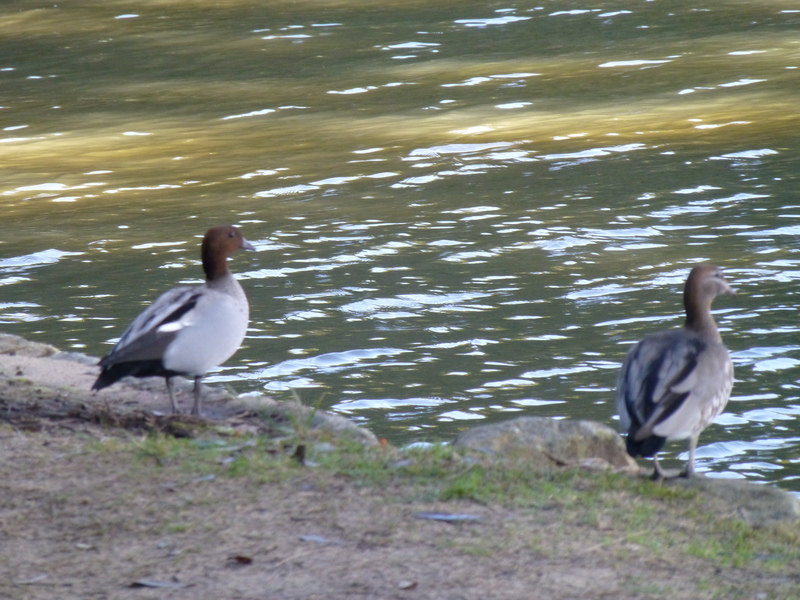 Here’s a pair of Australian Wood Ducks near the river. As a lover of ducks, it’s hardly surprising for me to say that one of my favourites sights is a family of ducks, swimming on the river. The little group moves along with quite remarkable speed, considering the tiny webbed feet that the babies have. Here’s a link to my new blog, where’s there a fresh post about Chicki . 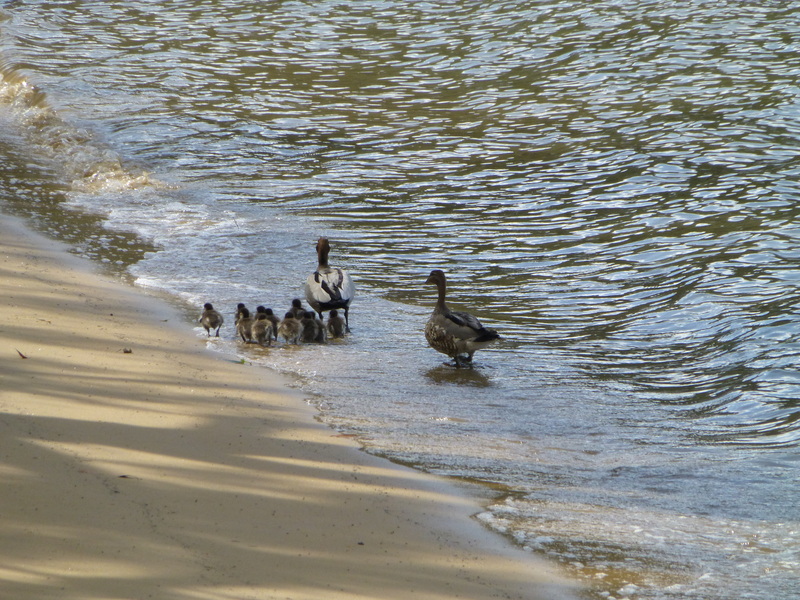 This is a rare and very welcome sight in the local river baths: a family of ducks. Few sights are as sweet as this, I think. One of my most-loved hobbies is watching the birds that gather in the park. While the Parrots are very engaging, I am equally happy to watch the water-birds as they go about their day to day activities. Here is a scene taken at the local baths in suburban Sydney, Australia. 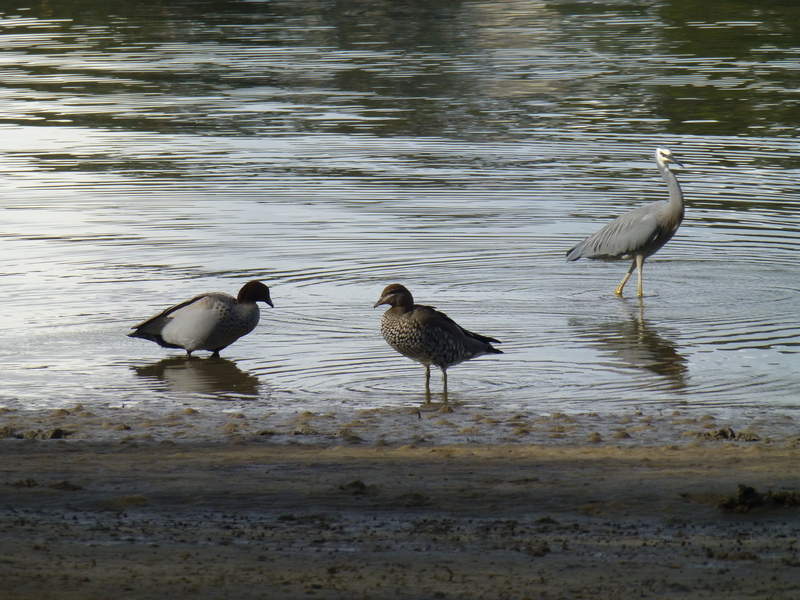 It show a White-faced Heron that has strutted past a pair of Australian Wood Ducks .